Worried about forgetting when your car’s MOT is due? 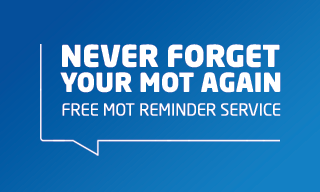 Make it one less thing to remember with our free MOT reminder service, which automatically sends you an email or text four weeks before your car’s MOT is due for renewal with a follow-up two weeks before the test. MOTs from ATS Euromaster are only £29.99 when booked online. Book your MOT online today. Most MOTs take place during March and September, but your car may need an MOT at any time of year. You can find out when your car’s MOT is due by checking your car’s previous MOT certificate or by using the government’s MOT status check tool to find out exactly when your car’s MOT is due. You can book your car in for its MOT any time up to a month before the due date.